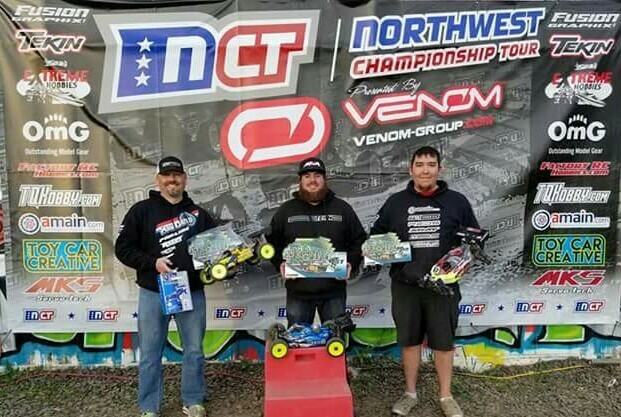 "Round #1 of the Northwest Championship Tour (NCT) was held this past weekend at Playground R/C in Yakima, WA. 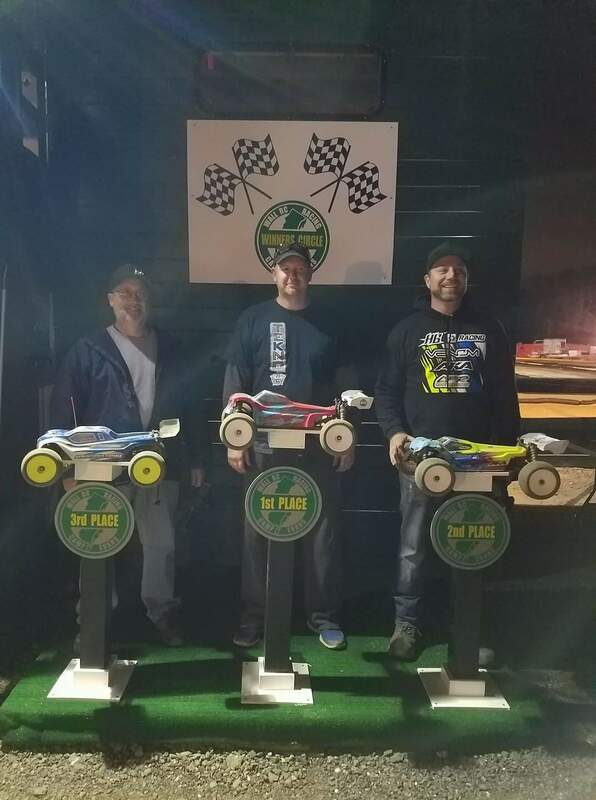 The traveling outdoor off-road series has undergone quite the resurgence in recent years, do in very large part to the dedicated work of series/race director Justin Wilde, and this event continued that trend by drawing a series record 350 entries! 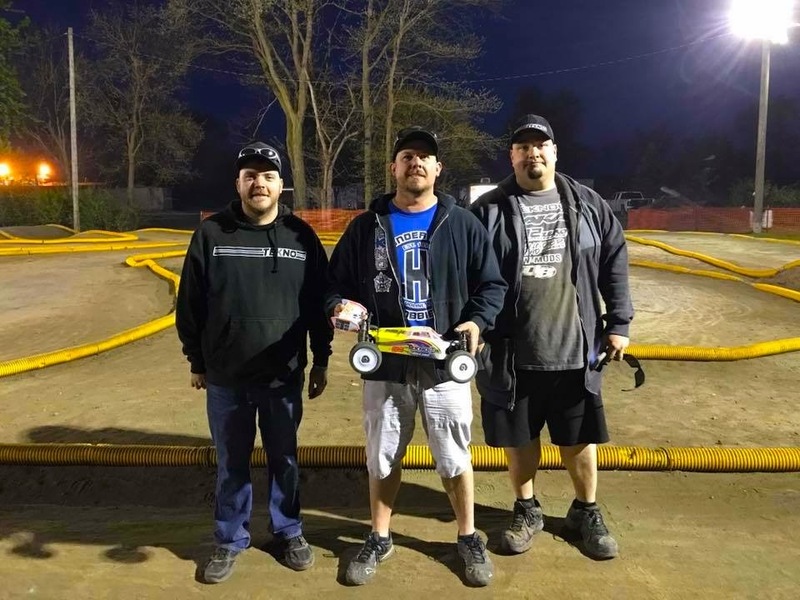 Saturday Qualifying went well with Tekno taking 3 overall TQ’s – Keith Hadley in Electric 1/8 Buggy, Derek Rasheed in Pro4 SC and Jason Walters in Electric 1/8 Truggy. 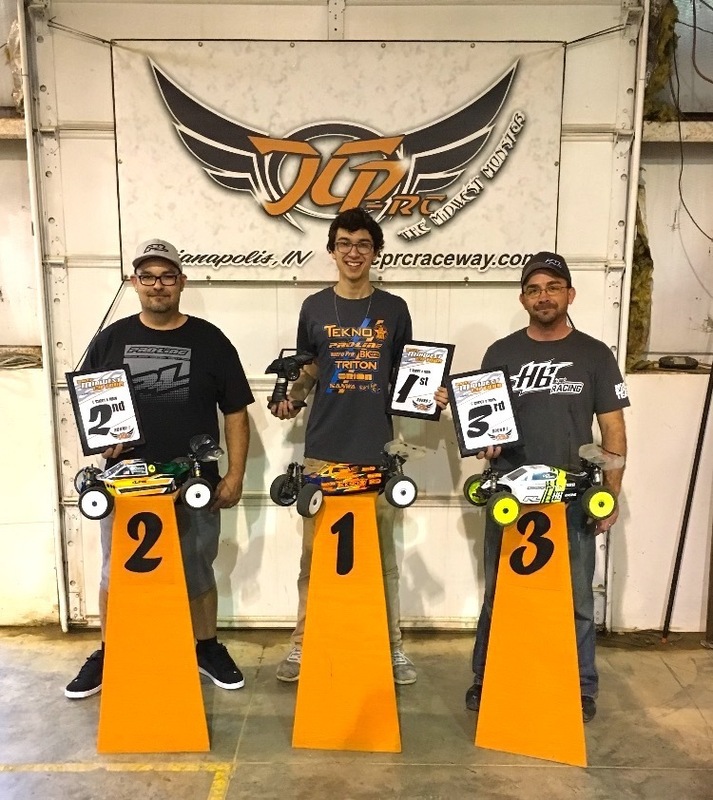 Sunday went even better as all 3 drivers turned their respective class TQ’s into wins before Keith Hadley was able to bring home the win in 1/8 Nitro Buggy as well to top off a great weekend. 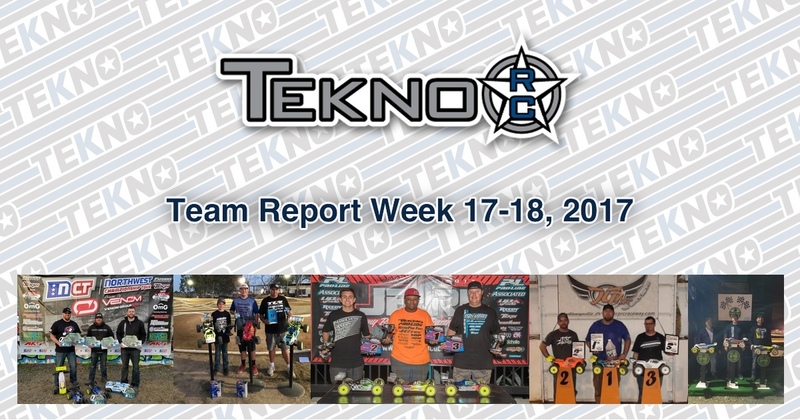 Check out the results below and we will see everyone next month for NCT round #2 at the Hank Perry 240 in Spokane Washington! Visit nctracing.com for more info." "E-Buggy qualifying was a heated battle between me and Adam Drake. I had set the TQ pace to beat in the 1st qual and after a rough start he came back up top to take the 1st rd TQ. 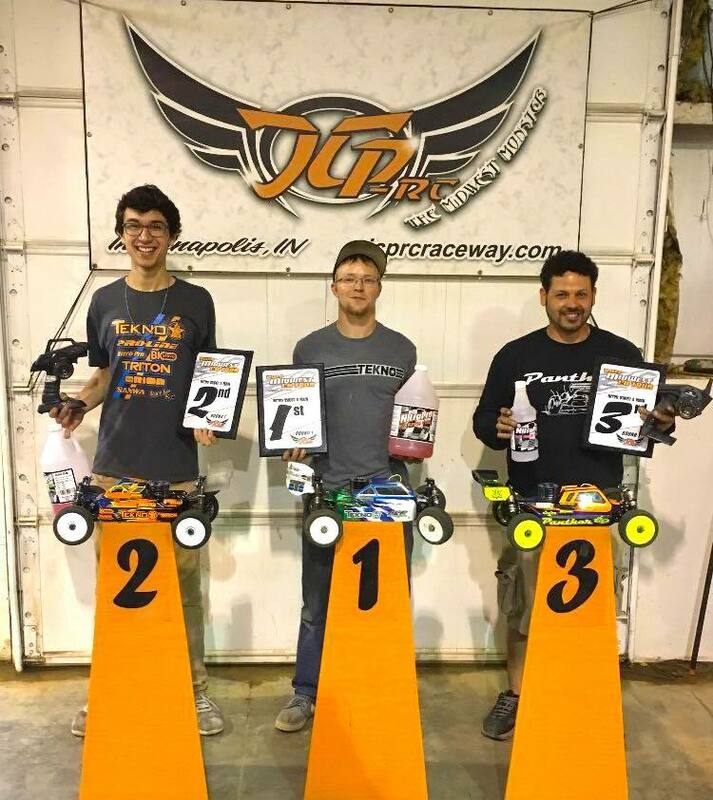 In the second round, as it was a whole new round, I came around to take second round TQ by a lap but Adam Drake took the tie breaker and started on pole. Main Event: As the tone sounds off, me and The Drake got away from the pack a little early on. Had a couple bobbles in the beginning which led to Jake Mayo catching up and turning into a 3 way battle. 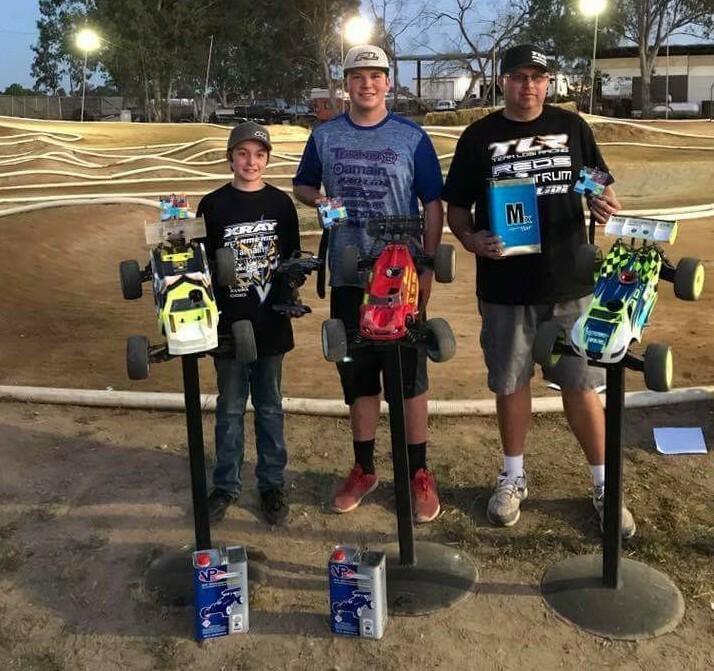 Something happened to Drake where he fell back and lost a lot of time and me and Jake battled for about 7 min straight but with his mistakes allowed me to check out and never looked back and took the overall win." 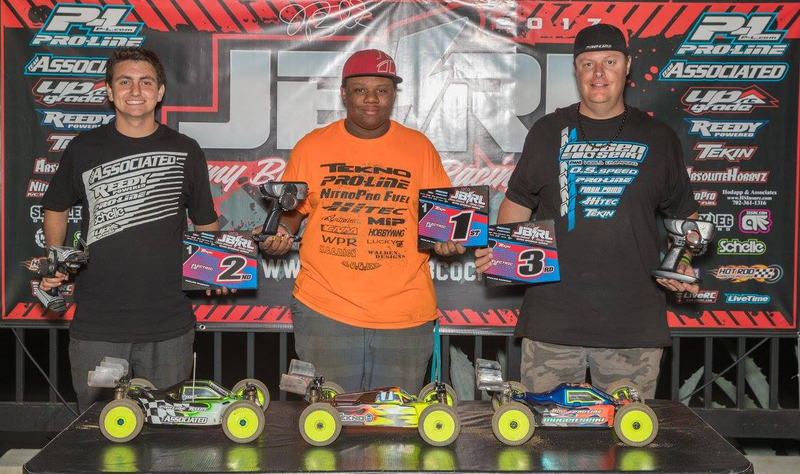 "Had an awesome time at the Midwest 1:8 Tour Rd1/JCP's final race! First off, I want to thank Bryan Seitz for all the work he put into JCP, sad to see it closing! As for racing, I was able to TQ Ebuggy and start second behind Derek in Nitro Buggy after some close qualifying! In the main I was able to take the ebuggy win by about 10 seconds! In Nitro buggy Derek would bobble on lap one giving me the lead and I was able to lead for the first 8-10 minutes as we were within about a second of each other! He got by mid race and after putting up a midrace charge to swap for the lead again he retained the lead after the last pit. Overall a great run and congrats to Derek for driving a great race! 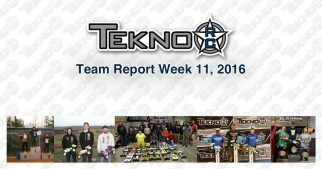 Tekno and Nitro Pro were able to go 1-2 in Nitro buggy, 1st in Truggy and Tekno 1st in ebuggy! 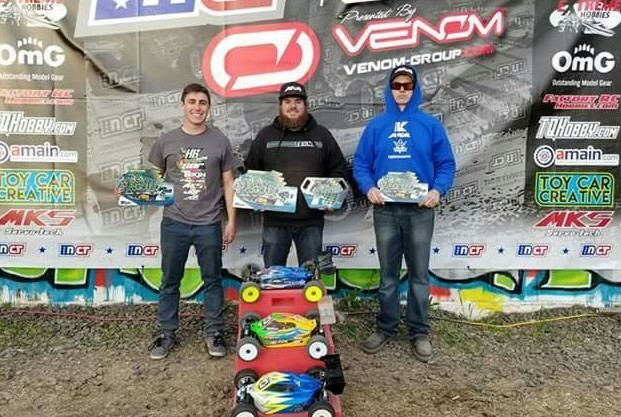 Both .4 Tekno buggies were on point with Proline tires and Triton/Orion power! Everything performed flawlessly and I'm Extremely happy with my program! Thanks to all my Sponsors!" "My EB48.4 was pretty sporty right from the git go. Hardest part of the day was tire selection. The car was a little twitchy and bouncy in the first two qualifiers, so I went down a little bit in shock fluid (front and rear), softened the rear spring rate to yellow and took some rake out of the ride height (25 front and 27 rear). These adjustment seemed to be just what I needed to be able to drive the car as aggressively as I wanted in the slick and rough conditions. 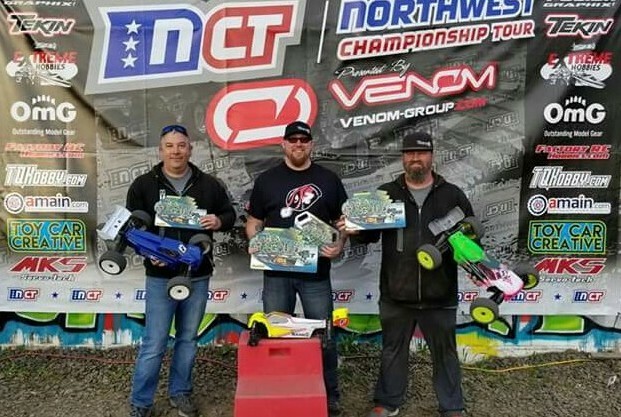 I was able to TQ and pull off a very convincing win against some stiff competition. 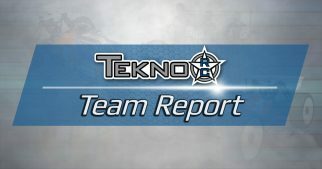 Thank you Tekno for your continued support!" "Once again I would make the trip down to CVR Raceway for this years Race for Autism. Friday practice would go pretty good, I would only make a couple changes to my cars before I felt comfortable with them. On Saturday we would run 2 qualifiers and the mains. I would have good runs in both pro nitro buggy and pro nitro truggy, starting 3rd for buggy and on the pole for truck. Truggy would be my first main up. CJ Jelin and I would have an intense battle the entire main, in the end I would go on to take the win. As for pro buggy, I would make a last minute tire swap hoping it would pay off. Unfortunately it didn't work out, my car was great for the first half of the race but in the second half my tires fell off pace and I started to make too many mistakes. Overall my cars were super fast and I couldn't ask anything more out of them! Once again a big thanks to my sponsors, Tekno RC, Proline, Amain, Tekin, Protek, VP Fuels, MIP, Schelle, BOOMrc, and RAD Painting." "The weather prediction for this race was bad. We ended up getting very lucky and had sun all day! In practice my cars felt great. A couple small changes and they were perfect. I would go on to TQ 2 of the 3 classes I ran and P2 in the 3rd class, Even with a smaller turnout the competition was high! 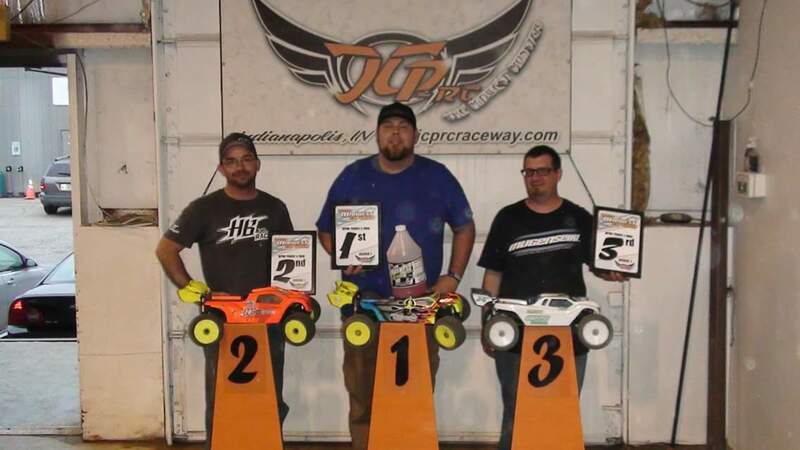 I was able to Win E Truggy, finish 2nd in Nitro Buggy and 3rd In E Buggy!" "In practice I basically got used to the track and made just minor changes but nothing too drastic. Took TQ in truggy in round 2 and qualified 4th in buggy in the 3rd round. Mains in truggy led from start to finish." 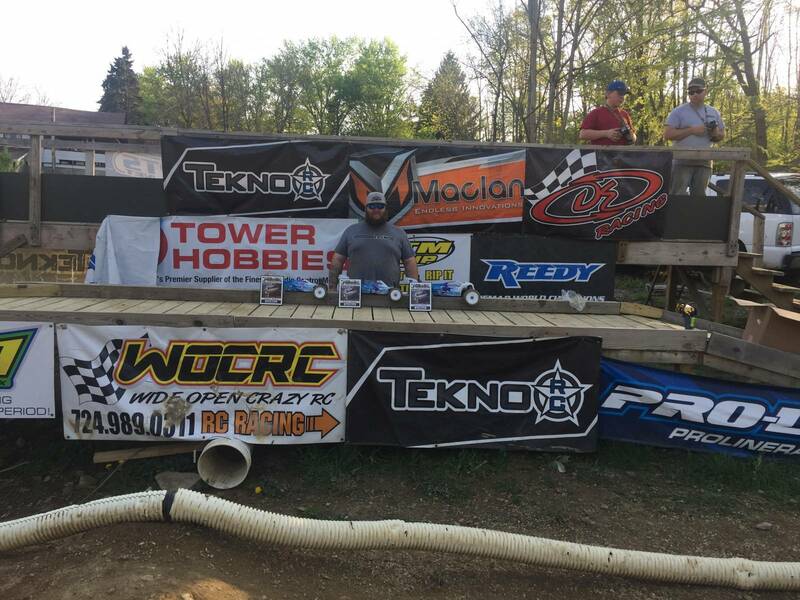 "I attended the season opener at Wall RC in Wall NJ. There was a great turnout with 163 entries. This was my first outing with my new EB48.4. The buggy felt great and it didn't take long to adjust to it. 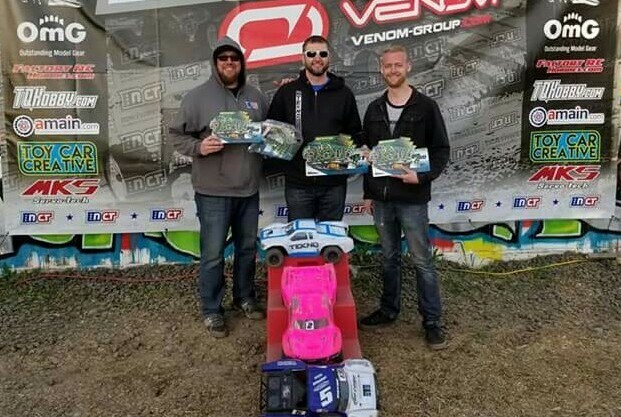 There were 55 total Ebuggies and due to the huge turnout on a Sunday there was only time for 2 qualifiers. I was driving well and qualified 8th in the A-main. By the time the main came around it was completely dark and with only 1 main I had to make it count. I got out clean and moved up through the pack. At the end of the 10 minute main I finished 4th. In E-Truggy there were 44 entries. Qualifying went very well and my truck felt great (I love driving etruggy lol) and I was able to qualify 4th in the A main. The A main started great and moved up to 3rd quick. 1st and 2nd tangled with each other over a jump on the first lap and I went past both of them. I ran a mistake-free race and went on to take the win! I was pretty stoked considering the amount of competition that was there. Both my Tekno cars were amazing and Tekin RX8 and T8 motors always perform flawlessly. I used 6mik Rapids in Ultra super soft on buggy mounted on DE Speed line plus wheels. Truggy had SS AKA Gridirons also mounted on DE Speed line wheels. Thank you to my sponsors for your continued support."